Aquamax has been providing services to both thermal and geothermal power generation facilities for many years. Our unique low-flow rate, but ultra-high pressure pumps allow operators to tackle tight spaces and complex shapes such as cleaning ash for inside boilers or silica scale from turbine blades. Due to there being much less water involved that some other water jetting processes, blasting can often be undertaken inside the machinery hall without having to crane items outside. Aquamax has built up considerable expertise and experience in the energy sector providing shutdown and other solutions to most of the country's major energy suppliers. Customers include Contact Energy's geothermal facility in Wairakei and Genesis Energy's Huntly Power Station. We have also performed work for the Marsden Point oil refining facility and on offshore oil production facilities. 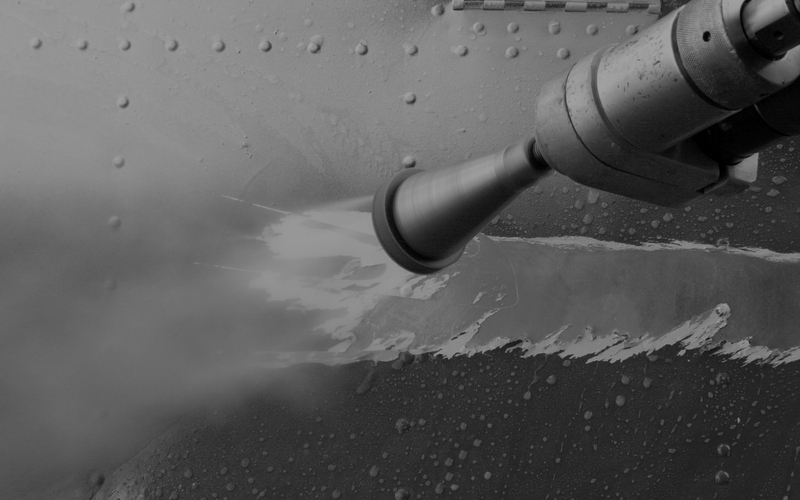 Aquamax is able to provide expert cleaning of turbines and boiler tubes as well as a wide range of other applications. Turbines are very complex and sensitive pieces of machinery. Ridding them of chemical and mineral deposits requires extreme thoroughness and sensitive application. Cleaning with chemicals is not an option as this approach can cause pitting of the finely machined blades creating a surface susceptible to further build-up. Our mobile units can be deployed on site and our operators are all well-trained and totally familiar with the rigorous health and safety requirements of the energy sector. Building on several oil and gas projects including Pohokura, and a range of other water-jetting work in the region, Aquamax has now established a full-time crew, based in New Plymouth. This crew is equipped with a new WOMA 70, an ideal machine for performing surface preparation to a high standard. Contact is New Zealand’s largest producer of geothermal electricity operating five geothermal power stations located in central North Island. Charley Beagle is responsible for maintaining a wide range of highly specialised plant, turbines, pipeline and general infrastructure at Contact Energy. A regular challenge is conducting annual shuts to perform essential maintenance on generating equipment. Every hour of downtime comes with significant opportunity cost so planning and reliability is critical. Unlike other types of blasting, Aquamax’s low-flow water jetting allows much of the work to be completed in-situ, reducing the requirement to move heavy rotors and gear outside the turbine house. Health and safety management is of utmost importance. In addition to observing good practice, Aquamax operators are keen to work with plant supervisors to initiate improvements.